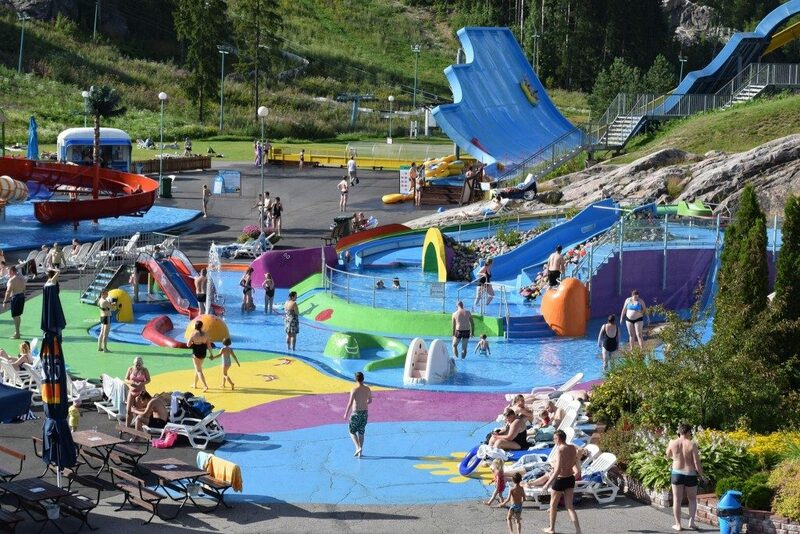 In the first part of our new series, Family Vacations in Finland, we look at the best water parks in the country. 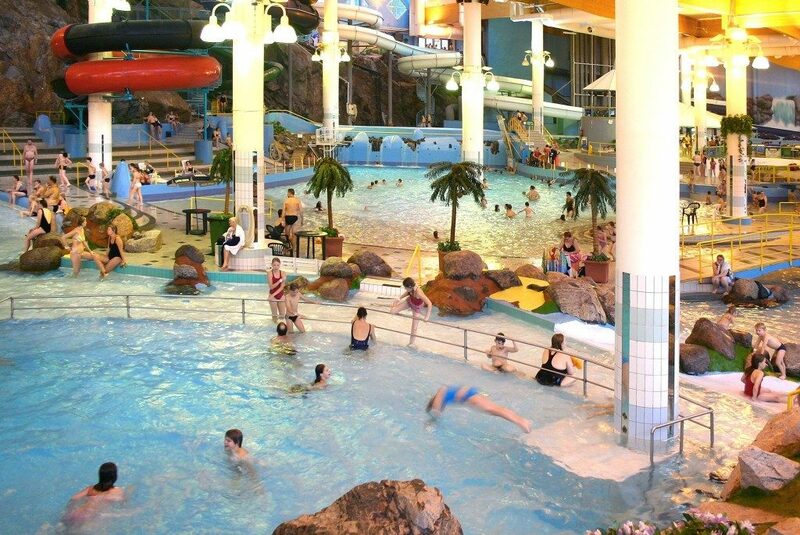 In winter, the indoor water parks are the perfect venue for families with kids who are tiring of the endless cold and dark, and looking for a taste of the tropical. 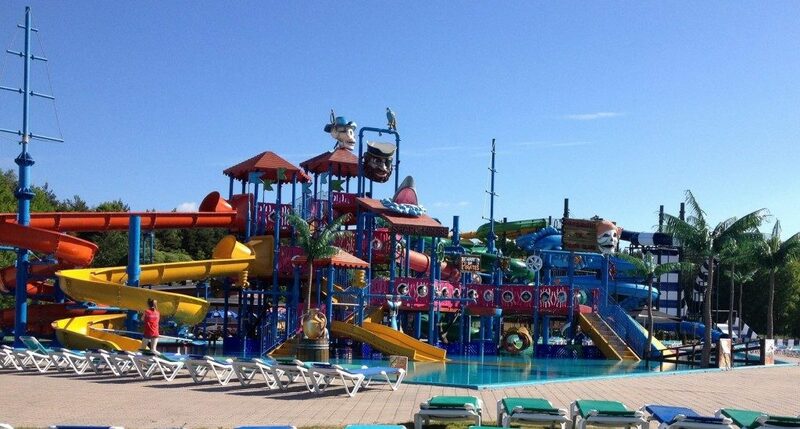 In the summer, the water parks provide the same families with safe and secure entertainment for all the family. 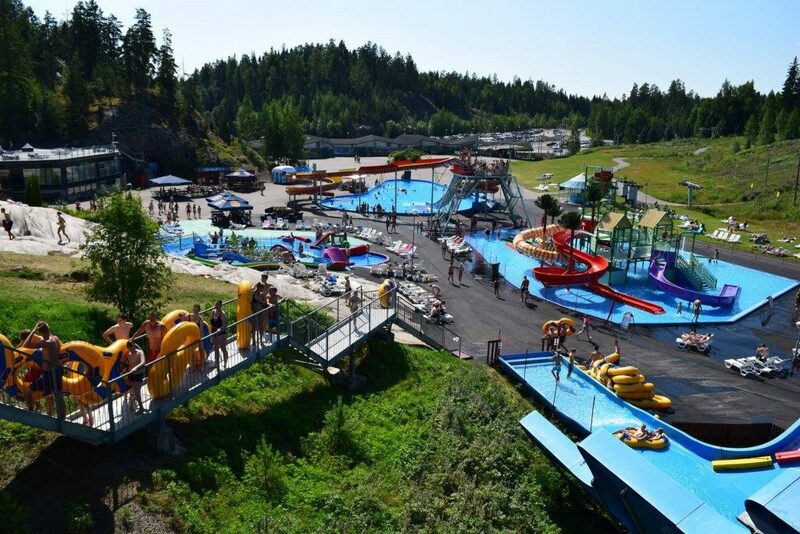 No matter the season, these water parks are excellent for family bonding sessions. 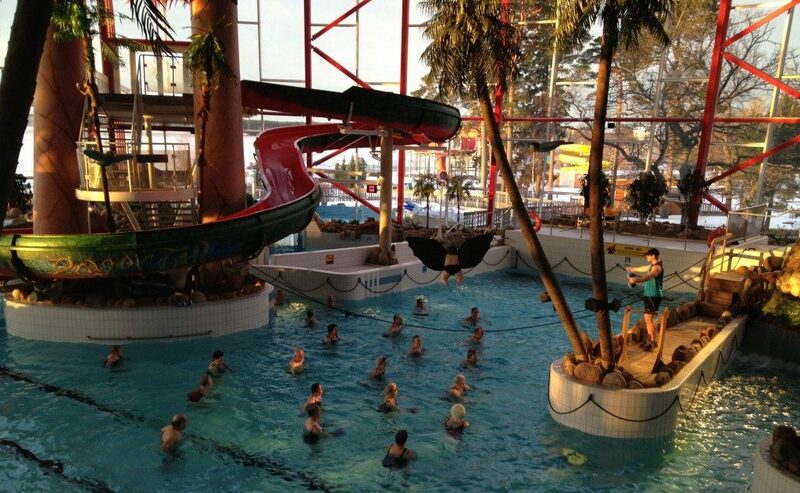 Serena Water Park isn’t just the largest water based entertainment centre in Finland, but also in all of the Nordics. Located a little over 20km from Helsinki centre, in neighbouring Espoo, Serena is just a short bus ride for visitors staying in the capital. Serena has both indoor and outdoor areas, covering 2,000 square metres in total. The indoor zone is maintained at a tropical climate, and all year long you can have fun in the 7 pools available. 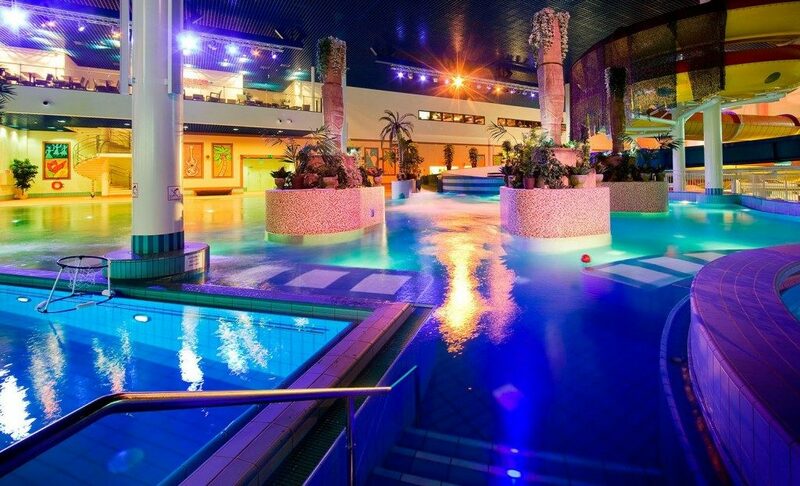 There are waterfalls, 9 slides of varying heights, a wave pool, a bubble pool, and even Serena’s very own ‘Dead Sea’ pool – the salt content is 25%, making it easy to float effortlessly. Visitors can also enjoy the spectacular sauna carved into one of the cliffs, or even try a Turkish bath. Small children are facilitated in a separate paddling pool with its own small slides. For the bigger kids there are more exciting slides, including the ‘Black Hole’ a pipe slide with light and sound effects. The outdoor zone is open in the summer, and boasts a 1,000 square metre pool, as well as 5 slides, inner tube slopes and a half-pipe. 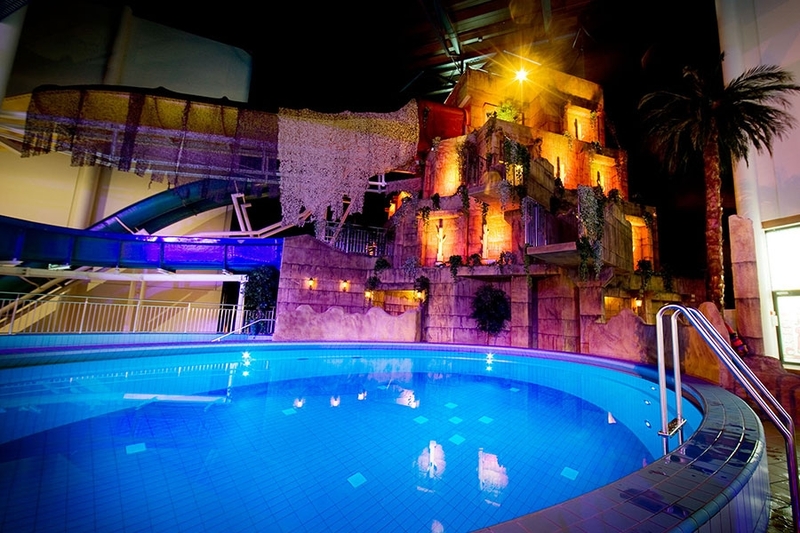 Close by Finland’s main airport in Vantaa, 19km north of Helsinki, Aquapark Flamingo is part of the Sokos Hotel Flamingo’s extensive Flamingo Spa entertainment centre, the largest of its kind in Northern Europe. All indoor attractions are open throughout the year. In addition to the Aquapark Flamingo you’ll find a Spa, a variety of leisure activities, a nightclub, restaurants, shops and much more. Aquapark Flamingo is themed around the ancient Mayan Indian temples and iconography, with slides, waterfalls, pipes, jacuzzis, pools, saunas, and a spa zone. The largest pool is the Attraction Pool, with currents and bubbles and a depth of 1.3 metres. Other features include the 152m long Magic Maya inner tube side, which has a height difference of 12m; the Sports Pool is perfect for exercise enthusiasts to practice water gymnastics or play ball games; there’s the 63m long, rough-and-tumble Wild Stream whose current will whisk you down to Attraction Pool; the Upstream Pool provides you with the chance to swim against the current, and has a water-massage point for the neck and shoulders; Inca Falls, a three-lane slide, and the 22 metre long Familia slide are suitable for all the family. 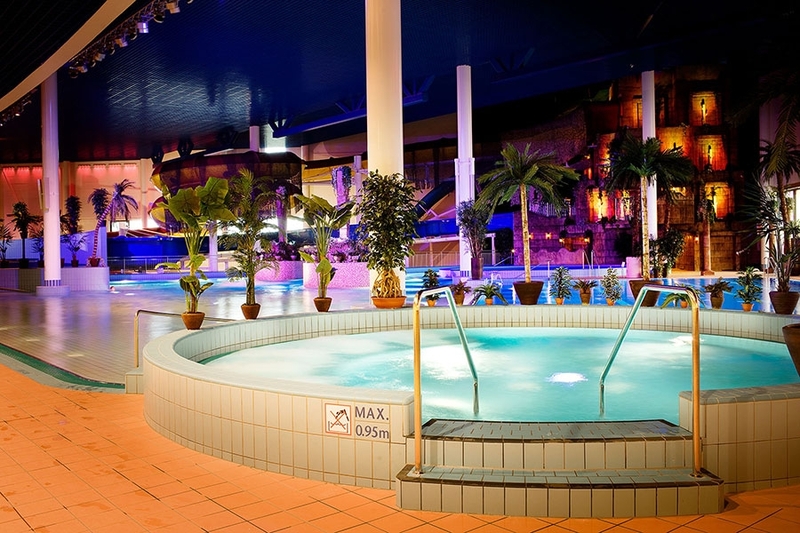 There are also two jacuzzis in Aquapark; the Geyser Jacuzzi features comfortable water sofas, and intermittent spurts of warm water, and the regular jacuzzi with multiple water massage points. Aquapark Flamingo also has the Children’s Pool, which is shallow and safe for the youngest in the family, and contains several toys and two slides where even the smallest ones can enjoy the excitement of speed. Located just outside the quaint seaside town of Vaasa on Finland’s west coast, on the holiday island of Vaskiluoto, lies the family attraction Vesipuisto Tropiclandia. Featuring an indoor and outdoor section, you can reach the resort from Vaasa by taking a local bus or, in the summer only, taking the cute Lilliputti city train. The nearby town, and being located on an island with a top class camping area, make this an ideal destination for a family vacation in Finland. There is 1100 square metres of pools available between the indoor and recently opened outdoor zones, with wild water slides, jacuzzis, and activity pools for the smaller children. The most popular rides are the Space Boat chute, where visitors spin down the chute and through a funnel in a rubber-boat, as well as the multi-lane waterslides, the free-fall chute which suits the more adventurous, while Surfing Hill is a long chute suitable for all the family. Vesipuisto Tropiclandia also has neck massage showers and jets, hot tubs, a cold pool, as well as saunas, Turkish baths, and a shared Roman-Irish bath. In the summer there is ample room outdoors for relaxing and sunbathing while the kids exhaust themselves, as well as a fine terrace restaurant serving food and refreshments. Located close by the Impivaara swimming pool and sports ground, just 3km from the centre of Turku, JukuPark Turku opened in 2010 and is the city’s newest family attraction. The complex takes up 2.5 hectares and features 16 different slides and tubes, as well as large heated pools, saunas, shower rooms, grill-restaurants, kiosks and sunbathing terraces. Among the 16 slides and tubes the most popular are the Crazy Cruise, the Black Hole, Surfing Hill, Free Fall, the Typhoon Tunnel, the River Ride, Tunnel Twister, and the Twister. There are three pools: the big pool has a depth of 120 cm, and the small pool has a depth of 90 cm. 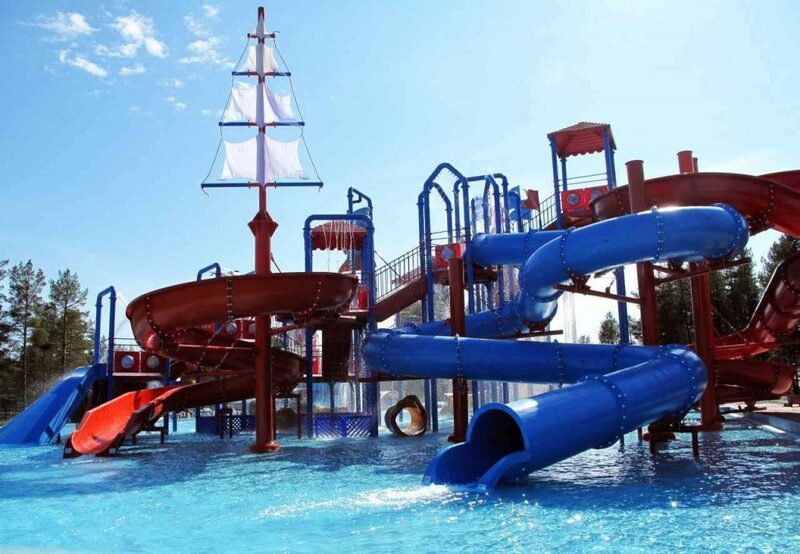 The third pool is in the Pirate Island water park, which is a separate area specifically designed for smaller children, with its own slides and water games, and has a depth of 40 cm. For children under 4 years old admission to JukuPark Turku is free! 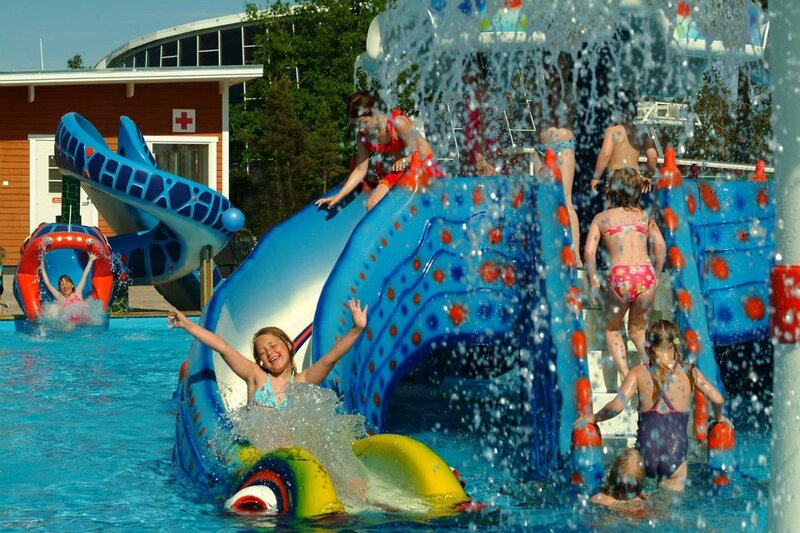 The most northerly of the water parks in Finland, JukuPark Kalajoki is located a few kilometres of the town, in the popular Kalajoki Hiekkasärkät seaside resort area, perfect for the complete family vacation in Finland. Close by are the Hiekkasärkät Sand Dunes, the longest sandy beaches in Finland! 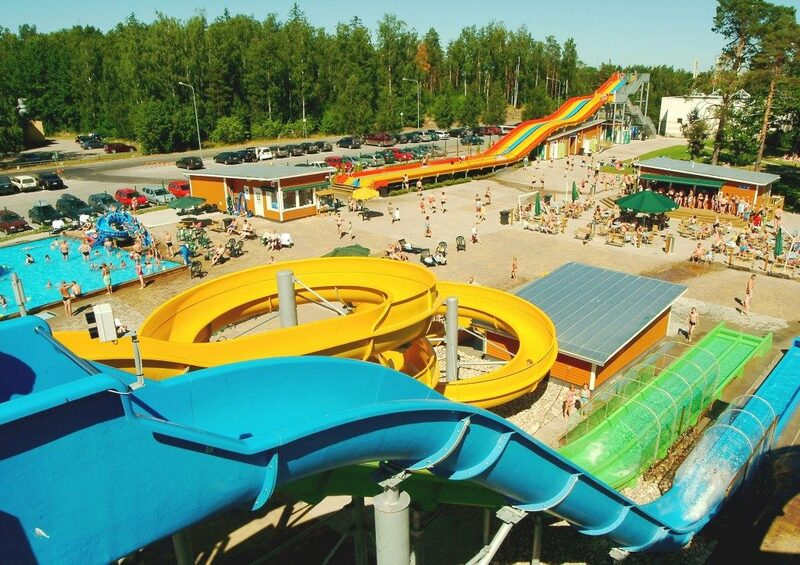 JukuPark Kalajoki has four pools: the Waterplay and Children’s pools are 50cm deep, the Waterslide pool is 75 cm deep, and the main pool is 1000 square metres with a depth of 1.5 m. The most popular slides and chutes are Surfing Hill, Skeitti, the Free Fall, Free Fall, Thunder Cruise, Aqua Cruise, Crazy Cruise, and the River Ride. Other amusements include the LunaLoop, NauticJet, Juku Tower, and the Bumper-Boats. For smaller children the Pirate Island Water Park has plenty of games and slides to keep them amused and happy for hours.